A few days back, VMware has announced an interesting tool. It is a utility (online) which guides you through the choices you have when you’re planning upgrade your virtual infrastructure. Today’s post is about vSphere 6.7 Topology and Upgrade Planning Tool. In fact, the tool isn’t new as it has been around since vSphere 6.5 but we have never covered this. But it’s interesting to have this tool in ming when willing to quickly check whether your knowledge about the version and upgrade paths are correct or not. With the support for Enhanced Linked Mode with Embedded vCenter Server deployments in vSphere 6.5 Update 2 and vSphere 6.7 there have been some topology updates we would like to cover. The updated vSphere 6.7 Topology and Upgrade Planning Tool will help you plan out your New Deployment to vSphere 6.7 or your Upgrade from vSphere 6.0 and 6.5 to vSphere 6.7. We have covered recently the changes in architecture where previously, VMware recommended an external PSC for deployment for clients requiring Enhanced Linked Mode (ELM) but now ELM is supported with embedded PSC. As being said it is an online tool. We’ll have a look at what it does and how it helps. At first, when you connect to the online utility, you’ll get a simple choice like this. Then it depends what’s your choice. The utility will walk you through. The online tool provides with good explications and screenshots of your current topology, and how the changes you’ll implement, will look like in the phase of the final architecture. Also, there are reasons given why. Future patching and upgrades are also simplified as you now have a single server to update. 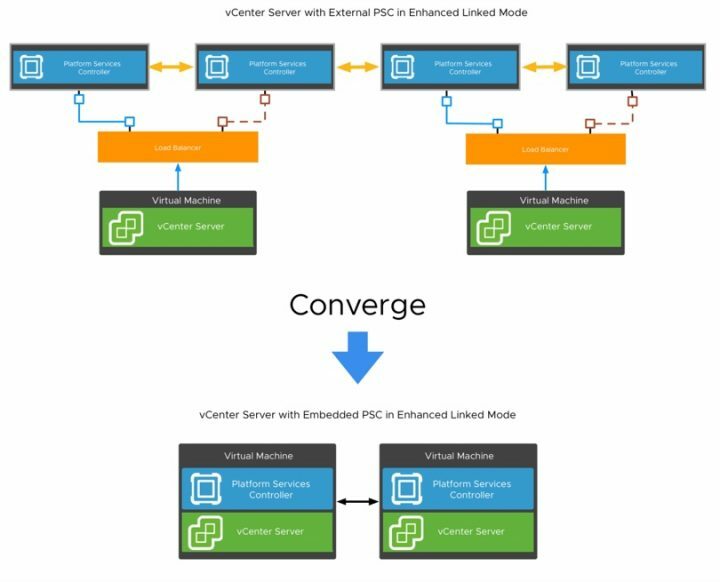 And when I, for example, chose to migrate those multiple PSCs from external to embedded architecture, I’m offered the use of vCenter Convergence Tool. The CLI utility I wrote about a few days back. vSphere 6.7 Update 1 includes a built-in converge utility. 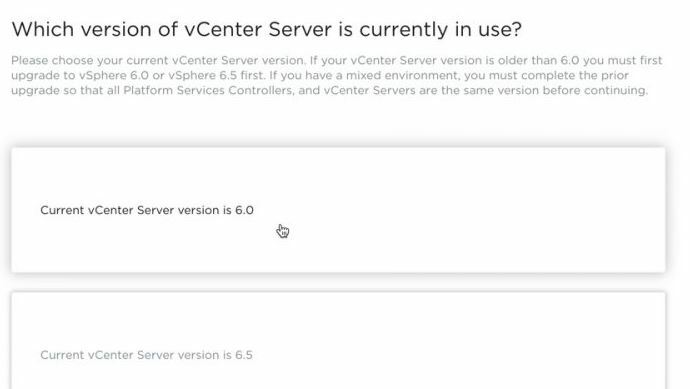 Once all Platform Services Controllers and vCenter Servers within an SSO domain are upgraded to vSphere 6.7 Update 1 you can utilize the converge tool to migrate from an External PSC to an Embedded PSC. And I have also a view of the environment after the upgrade completes. Clear and intuitive. vSphere 6.7 Topology and Upgrade Planning Tool can be found here. Wrap Up: VMware is really making the architectural choices for us easier. Good job VMware. It is definitely a useful tool to clear some doubts out. With the Enhanced linked mode now supported for embedded PSCs there is no reason to have external PSCs any longer. Time to consolidate.